We enjoy the seasons and Fall is a favorite. So we took the liberty to collect a bunch of brown, green, plum and mustard fall color inspired jewelry making projects using metal stamping tools, metal stamping blanks and other jewelry making supplies to help you make spectacular jewelry. 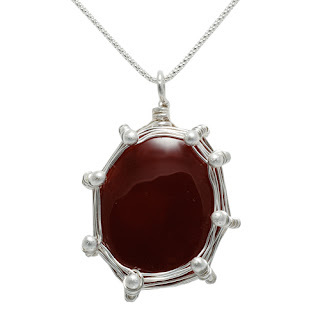 Have you fallen as deeply in love with our Spiro Pendant as we have? We thought the only thing that could be better than our classic Spiro Pendant would be a necklace that has TWO different sized Spiros. Watch our FREE: Spiro Pendant class, and then check out our collection of notched washers and beautiful Swarovski Rivolis. Then you will know what you need to start making a necklace of your very own. 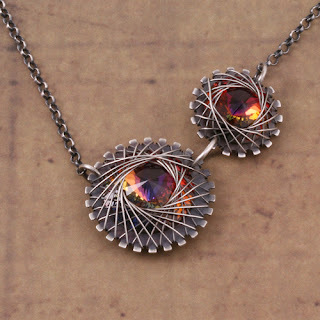 Find everything you need to make this Double Spiro Necklace here. 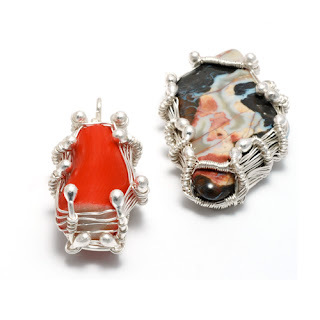 This class from instructor, Kim St. Jean, is a student favorite. Kim makes shaping heavy-gauge metal a breeze and shows how to size, texture and rivet a bodacious bangle bracelet. This class is suitable for the metalworker who has some experience, but seasoned pros will also enjoy the great tips and tricks that Kim shares in this class. 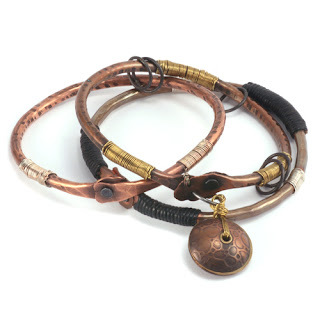 Find everything you need and learn how to make this Bodacious Bangle here. 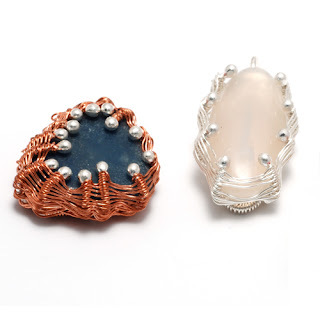 Find everything you need and learn how to make these Woven Bezel Baskets here.